Quite a number of companies fail to realize that delivering excellent customer service is a key to repeat business. Quite a number of companies fail to realize that delivering excellent customer service is key to repeat business. While a considerable number of companies know this, employees of those brands have failed to internalize this. They treat customers the way that their mood determines unfortunately at the detriment of the business and the business owners. According to a Harvard Business School study on beverage giants Starbucks; they found that satisfied customers are important to any successful business model. They highlighted that customer satisfaction has significant impacts on the revenue made by the company. From this study, we can conclude that customer satisfaction leads to customer retention and the service that is delivered by the front-line associates of any business is essential in sweetening customer relationships. It is simply the same way with a dissatisfied customer, in a report dedicated to customer experiences, the authors found that the number one reason customers abandon a brand is because of poor quality of customer service. If you think on both sides of the spectrum, you’ll realize the importance of customer service. From my experience, good service mentality doesn’t come natural to all. Some people have it embedded in their DNA while others don’t. That is why you need to hire the right people to deliver the quality and standard of service that your business requires. The best kind of service to give is proactive service. Anticipating the needs of your customers and delivering those needs far above the expectation of your customers — in a timely way. There is therefore the need to build a service culture right from the top so that it easy for your employees to learn by examples, typical of “do what I do, not do what I say”. I’ll be sharing practical tips on how to deliver excellent customer service that will be remembered. Sustainable business relationships start by knowing your customers’ needs and wants. Customers like to be treated on a personal level, remembering names, previous conversations help at this point. The idea is to build good relationships with people who are your customers, by promoting a helpful, positive and friendly environment. Ensure that you understand what your customers consider to be quality service. Take the time to find out what their expectations are. Continuously look for ways to improve the levels of personal interactions you have with your customers. In March 2012, Starbucks had a campaign that was based on improving relationships between their front-line staff and customers. For everyone that introduced themselves by their names; they got a free latte. The campaign was well received and more than three hundred and fifty thousand free lattes were given out. It will happen that some employee will get sloppy, tired and simply cannot respond appropriately to a service issue. When this happens, you need to act swiftly to resolve their complaints. Speed in response can be an endearing feature with customer service. A response time report in 2011 showed that the average email response time for a 100 companies surveyed was 17 hours. 17 hours is a lot of time, anything could have gone wrong within that time. •	Listen intently to their challenges without interrupting. •	Empathize, own the mistake and acknowledge the problem. Apologize for this while remembering to stay calm. •	Body language matters a great deal, ensure your body is speaking appropriately. •	Solve the problem quickly without fuss. Going the extra mile for your customers will not only result in a satisfied customer but it can also be a surefire way of retaining that customers, I will share two stories of brands that went above and beyond for their customers. In 2011, a three year old girl called Lily Robinson wrote a letter to Sainsbury’s – a UK grocery store. Apparently she was confused as to why a certain bread was called tiger bread when it looked much like a giraffe. The customer service manager at the time, Chris King, responded in another letter stating that renaming the bread to giraffe bread was a brilliant idea. Her mom put both letters up on her blog and it went viral. In January 2012, the bread was renamed to giraffe bread. You can be certain that Sainsbury’s Giraffe bread sold quite a lot during that period. Our second story is about the Zappos brand. In 2011, Jay was supposed to be his friends’ best man and he wanted to look dapper. So he ordered shoes from Zappos and paid for the 3-Day Select shipping from UPS. Unfortunately, the shoes got sent to the wrong address and couldn’t be re-routed before the wedding. On contacting Zappos, they offered to send a replacement pair of shoes to Jay’s destination overnight and reroute the original shipment back to Zappos. They gave him a complete refund and upgraded his online account to VIP. In fairness smaller brands may not be able to afford giving freebie but a simple note can work wonders with customers. 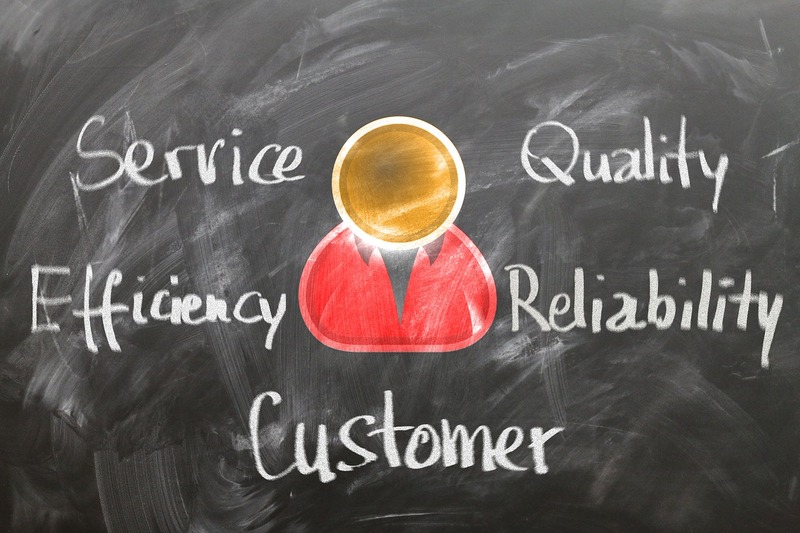 Quality customer service has generally had lasting impacts on both existing customers and potential customers. Different surveys have found that a large percentage of consumers would react by telling family and friends about a bad or good experience by posting it on a social network. And with the reach that each profile has through friends, their experience could potentially reach thousands in no time. Every business should have values built around delivering excellent customer service.